2014 marks the 35th anniversary of Jean Bony’s “The English Decorated Style: Gothic Architecture Transformed” (Ithaca, 1979), and so the seminar series in 2013-14 will revisit the subject of English architectural style in the century ca. 1250-1350. During the Michaelmas Term the seminars take place fortnightly on Tuesdays in the Graduate Centre, 4A Trumpington Street. The presentations start at 5.30pm and are followed by discussion and refreshments. Everyone is most welcome to attend. Early 14th-Century Collegiate Churches: architectural change as a social process? 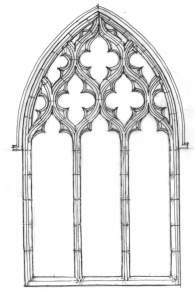 This entry was posted in Upcoming Events and tagged Architecture, Cambridge, Decorated, Gothic, Lecture series, Lectures, Medieval art, University of Cambridge on October 4, 2013 by James Alexander Cameron.